The pitchers who wow us these days don't remind us of anything familiar. Most of MLB's sharpest aces—Justin Verlander, Jered Weaver, Roy Halladay, Clayton Kershaw, and C.C. Sabathia—were first-round picks, blessed with a freakish ability to throw much harder than their competitors, and groomed for many years by the baseball apparatus. They appear to have been created by God and Dr. James Andrews, tall and broad, imposing. They don't look like the kind of pitchers who first appear on the back diamonds in spring training, the type someone discovers while driving through some unfamiliar town at dusk in June. There are still a few of those guys starring around the league—James Shields and Brandon McCarthy come to mind—but not many. Every team wants pedigreed first-round pitchers, polished arms with a few pitches, guys who miss bats. That's what turned the Rays from a doormat to a contender. But it means we'll see fewer pitchers like Dontrelle Willis. The Phillies released the 30-year-old Willis on Friday after signing him to a one-year deal in December. According to Jon Heyman, Willis's fastball sat between 82 and 87, and he struggled with control. It doesn't bode well for the D-Train's chances of making any roster that Philly dumped him after only 2 2/3 innings even though they don't have any reliable lefty relievers. It looks like this is the end for Willis, who hasn't pitched a full season since 2007. Willis didn't arrive in the league as a blue-chip investment. He was an eighth-round pick in 2000 out of Encinal High School in Alameda, CA, a school best known for churning out Jimmy Rollins, Willie Stargell, and Isaiah Rider. He got a $200,000 signing bonus from the Cubs but was soon deemed expendable enough to trade to Florida (with Julian Tavarez and a prospect) for Matt Clement and Antonio Alfonseca. He was the Cubs' 21st-ranked prospect in 2002. There was no clue he would dominate the league. Don't let the last few years deceive you: Dontrelle Willis was a star, measured by production and stature. He made All-Star teams in 2003, when he also won NL Rookie of the Year, and in 2005, when he finished second in NL Cy Young voting. He had a nickname everyone remembered. From 2003 to 2005, he won 46 games, with seven shutouts. 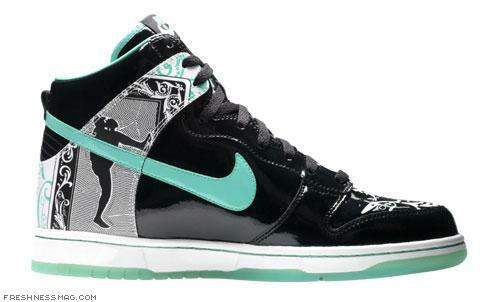 He was the only non-Griffey MLB player with a Nike basketball shoe named after him. He hit six home runs in his first four seasons. And he had that delivery. Willis's delivery, which he apparently picked up from his mother's days playing softball, was the best of the era. You can argue for those of El Duque, Byung-Hyun Kim, Ben Weber, or Tomo Ohka, sure. But no pitcher displayed more effort, movement, and speed before the ball left his hand. Dontrelle would turn backward, kick his leg as high as he could, and then come, three-quarters-armed, to the plate. His limbs looked like the moving brackets attached to a locomotive's wheels, which could be how he became "D-Train." So much motion. In my middle school, we spent endless baseball practices mimicking that delivery, hoping it could do for us what it did for him—we had mediocre control, mediocre velocity, and mediocre stamina, but we wanted to dominate, or at least stand out. And Dontrelle stood out as much as he could, spending his prime trapped in Pro Player Stadium. Every other spiffy Marlin arm got the benefit of exile. Matt Clement went to Chicago, in exchange for D-Train. Josh Beckett went to Boston. Brad Penny went to Los Angeles. Carl Pavano went to New York. A.J. Burnett went to Toronto. But Dontrelle was stuck toiling for Jeffrey Loria on what were, after 2003, perennially average Marlins teams. (He left after 2007, salary-dumped to the Tigers in the Miguel Cabrera deal.) Nonetheless, he dazzled—when he was at his best, he looked like a modern successor to Randy Johnson, racking up strikeouts with his torquing left arm. But where Johnson scowled, Willis smiled. Where Johnson's accessories were bad hair and a creepy mustache, Willis's were a flat brim—I bought a game-used Willis hat on eBay a few years back; it's terrifyingly sweat-stained but amusingly still quite stiff—and high socks. He looked like the star, and for several years, he pitched like it too. But eventually Willis's delivery—a lot of smoke and mirrors designed to cover up weak secondary pitches—came to define his career. Young Dontrelle had the wins, but they were premised on unsustainable peripherals, like his 8.0 strikeouts per nine innings his rookie season (his career figure is 6.6) or his 0.4 HR/9 mark during his splendid 2005 (his career mark is twice that). Young Dontrelle's ERA outperformed his FIP; veteran Dontrelle's ERA didn't. He became unlucky, and the smoke and mirrors were gone. In their place were the yips, and so he became unviable even as a lefty reliever in the National League. That's not what's sad about the end of Willis's story. He had a nice career; he made plenty of money and two All-Star games. It's sad because an undrafted and twice-dumped guard out of Harvard truly shredded the NBA for a few weeks in February, and because an undrafted running back/poet made NFL All-Pro for the second consecutive year, and because the NHL's three best goalies (measured by goals against average) were all selected after the 200th pick in their respective drafts—while in baseball, the sport without robust major junior programs and sneaker summits, the sport that has a 50-round draft, the sport that's supposed to tell us most about the potentials hidden in this vast nation, the surprise sensations are all but gone. There's Jose Bautista, who plays his home games in another country, and that's about it. 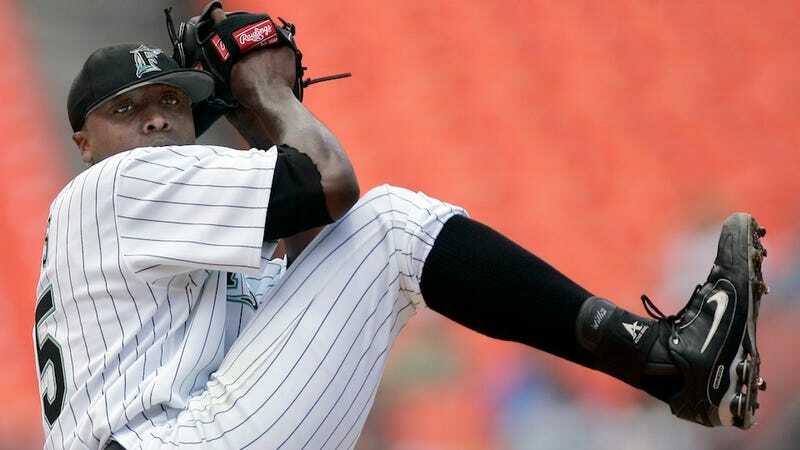 Not so long ago, Dontrelle Willis was the best kind of unexpected story. It's hard to imagine many more like him in an era where the draft matters so much, where boutique pitching coaches manicure deliveries in prospects' teenage years. Willis spoke to the Philly Daily News last week about his rookie season: "It was the perfect storm, man. The people that know me know I try to downplay it. I can understand it from the outside looking in ... When does that ever happen in sports?" In baseball, not nearly often enough. Don&apos;t forget to tip your editors! We&apos;re at tips@deadspin.com. And email addresses for individual writers are listed here.